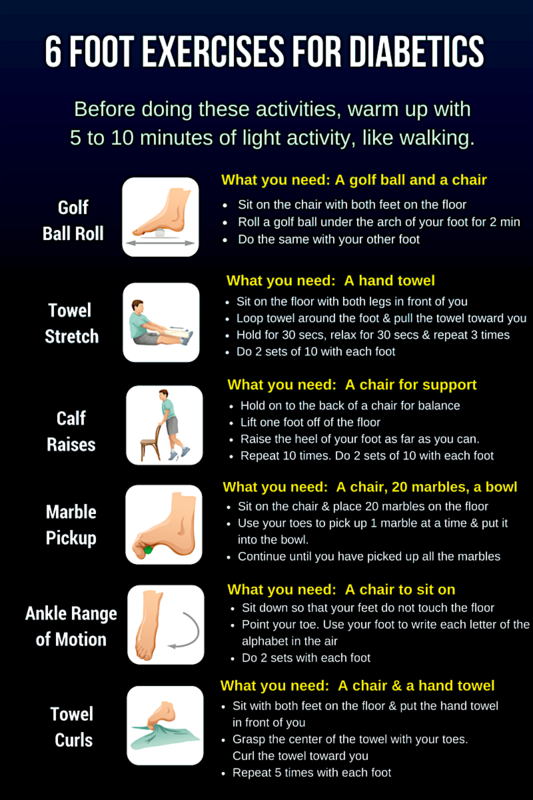 6 SIMPLE FOOT EXERCISES FOR DIABETICS! 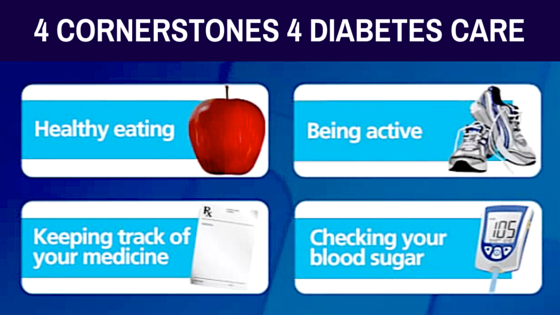 Daily physical activity along with healthy eating, regular blood sugar checks and right medication regimen are the four cornerstones for good diabetes management. If you haven’t already been exercising, check with your doctor and find out your options in terms of exercise so that you follow them safely. You may pick up the exercise regimen of your choice, it can be brisk walking, jogging, biking or even dancing. As you settle down with your exercise routine, gradually, you will start losing weight and begin to feel wonderful and more confident. For a beginner, probably, it’s not always easy to find the time for exercise. Changing the behaviour, finding an activity you like, and being proactive on a busy/tough schedule is really important. People with diabetes can develop problems with their feet. Sometimes, people with diabetes can have issues with their feet due to circulatory issues. Getting daily physical activity and not smoking can help prevent foot damage by improving blood flow to the feet. There are a few simple things you can do using household items to take care of your feet just about anytime, anywhere. Remember, diabetes can affect your feet, so be sure to take very good care of them. Check your feet every day, especially after being physically active. And tell your health care provider if something doesn’t seem right.